This event, at the Royal Society of Medicine on 10th June, will explore how technology can be used to help people change their behaviour to look after themselves better, both promoting good health and preventing disease. If the NHS is ever to be “saved”, encouraging self-care will clearly be essential to balance the increasing demands on the NHS from our ageing population. Technology, sensitively introduced, offers one great way of doing this, by gently encouraging important lifestyle changes. Responsibility for encouraging people to adopt this technology falls on everyone in the health and care sectors and beyond (for example the built environment), not just Primary Care. It will require joint working across disciplines and between sectors. It will also require technology that people, including end-users, carers and clinicians, find desirable; otherwise they will never stick with using it. This meeting organised by the RSM Digital Health Section will showcase some of the latest initiatives. The meeting will give care providers, commissioners, planners and developers an understanding that will help them frame their local strategies and implementations and show what should be possible in the future…and as always the RSM charitable status means low, low, prices! The Trillium II EU project has just extended the deadline for entries to the Trillium II prize to 15th May, so there’s still plenty of time to enter. The prize of €1000 will go to the organisation that comes up with the best proposal to publicise and deploy the International Patient Summary (IPS). This is an internationally-agreed standard for summarising a person’s health record – as it is adopted worldwide, wherever someone is in the world a clinician will be able instantly to see and understand the main aspects of that person’s health record. This will particularly result in improved patient outcomes, faster treatment, lower healthcare costs and reduced medical errors. It will be of particular interest to readers whose products or services access local health records, as it should mean that in future they no longer need tailoring to the specifics of those records. To date, not many entries have been completed, so the probability of winning with a new entry could be high. (Disclosure: this editor is CEO of DHACA, the Digital Health & Care Alliance, which is a participant in this EC-funded project). There’s not much news so far from the just-wrapped ATA 2019 conference in New Orleans, but POLITICO Morning eHealth highlighted a drop-by by Sen. Bill Cassidy from Louisiana, urging attendees to demonstrate to their local politicos that telemedicine is safe and effective–and be ready to answer questions about fraud or misuse. Louisiana’s Ochsner Health System is branching into retail with the O Bar, cleverly designed to look like an Apple Store to merchandise wearables and other health tech devices. For Ochsner patients, they can enroll into RPM programs and have their data directly input into their Epic EHR. American Well released a survey of 800 doctors, with the unsurprising finding that 22 percent have used telehealth to treat patients, but this is up 340 percent since 2015; also that the doctors finding telehealth most attractive to practice are also reporting high levels of burnout. Looking for more substantiative news from NOLA. It’s Helsinki for pitching your digital health idea in June. The 11th edition of the interestingly named EC2VC Investors Forum and Pitch Competition is now part of HIMSS/ Health 2.0 Europe 2019. Healthcare startups and SMEs looking for funding can apply, with 12 companies to be selected to present before a jury panel of digital health investors. The format is a four-minute pitch, followed by six minutes of Q&A. More information and to apply by 6 May, with finalists selected by 13 May. The event is 11 June from 13:00 to 16:00 at Messukeskus Helsinki Expo & Convention Centre. Our colleagues at MedStartr are hosting a panel discussing a hot topic: AI in healthcare. Panel and speakers include Melissa Honour, IBM Watson, Artificial Intelligence Portfolio Lead; Joseph Gough, EVP Innovation, Remedy Health; Samantha Nazareth, MD, Gastroenterologist, writer, broadcast commentator, and healthcare analyst. More to come! Cost is $20 but there are drinks and snacks throughout. Register on Meetup. TTA is a media partner of Health 2.0 NYC and MedStartr. On the journey to commercializing your health tech product, there are multiple ways to test it. It can be difficult to determine where to start, how to do it and what to evaluate. During this free session, Partners HealthCare Labs will address why validating your digital health solution – whether for clinical or economic outcomes – can benefit your product. RSVP at this link. Thursday-Friday 11-12 April: The Center for Research and Education on Aging and Technology Enhancement (CREATE) will hold a two-day workshop on Design For Older Adults at Weill Cornell’s Division of Geriatrics. If you are designing technology, consumer or health products, or living environments for older adults, this is a unique opportunity to network with colleagues and glean advice from leading experts in aging and design. Because of the highly interactive nature of this workshop, attendance is limited to 35 attendees. Aging2.0 members receive a discount. Email Adrienne Jaret at adj2012@med.cornell.edu or call 646-962-7153 (mention Aging2.0). Monday, April 29: Aging2.0 and CaringKind will host the third annual Technology for Caregivers showcase from 1:30pm-7:30pm at CaringKind’s headquarters at 360 Lexington Avenue. This one-day event will give caregivers and the Aging2.0 community the opportunity to try the latest technology for caregiving and dementia, and provide startups the opportunity to showcase their products. Last year’s event was featured on CBS and saw more than 300 caregivers interact with 25 innovative startups. If you would like to have your company featured contact us at newyork@aging2.com. Register here. And finally, we’d be remiss in not mentioning next week’s ATA19 which will be held 14 – 16 April in New Orleans at the Convention Center. Less and less referring to itself as the American Telemedicine Association, the conference is also less significant than it once was due to the specialization of health tech, the rise of HIMSS earlier in the year, as well as early fall’s Health 2.0 and the Connected Health Conference. Nevertheless, for many companies in the field it is still a must-attend if not a must-exhibit. Registration is still open here. LSBU, SEHTA and the GLA have an event that blends commercial partnerships with academics and developing research collaborations. The event also includes information on the latest NIHR Funding Programme and the Simulation for Digital Health programme supporting healthtech start-ups, SMEs and the Knowledge Transfer Programme Scheme by Innovate UK. The day’s agenda and registration is here. Caregiving is becoming a new frontier for innovation. This free evening hosts a panel of caregiving and home care experts. More information and registration is here. Parks Associates’ Connected Health Summit has opened invitations for speaker submissions on two general topics–Innovation and Partnerships and Empowering Consumers with Connected Health–each with seven sub-topics. Interested applicants should submit here by 29 March. TTA has been a media partner of the Connected Health Summit over the past few years. The latest word is that the Rt Hon Matt Hancock MP, Secretary of State for Health and Social Care, will be giving the keynote address on the second day (23 May) of The King’s Fund’s annual Digital Health and Care Congress. If you are UK-based or do business there, and you haven’t signed up…what are you waiting for? This link here or on the right sidebar will take you straight to the program site. When you’re there to register, don’t forget to use the code Telehealth_10 to get an exclusive 10 percent discount for our Readers. TTA is pleased to be again an official supporter of the Digital Health and Care Congress. And put on your calendar the Digital Health and Care Congress Wednesday-Thursday 22-23 May in London. Our Readers are eligible for a 10% discount using the link above or in the sidebar, plus the code Telehealth_10. UK Telehealthcare is hosting two events at Hammersmith Town Hall, King St. London W6 9JU on 7-8 February. The 7th is a Suppliers’ Forum, the 8th is for Providers. For more information, contact Gerry Allmark, UKTHC’s Managing Director, at gerry@uktelehealthcare.com. UKTHC is also partnering with Naidex on 26th-27th March at NEC, Birmingham. Naidex is Europe’s largest event for the disability and independent living sector with over 250 CPD-accredited seminars and the latest in assistive technology, accessible business advice and more. Registration and more information here. Two events have moved from NYC to the Boston/Cambridge area, reinforcing that much of entrepreneurial health tech is moving away from the primary cities of New York and San Francisco to secondary–and more affordable (well, slightly!) areas. The first is Mad*Pow’s Health Experience Design (HXD) Conference on 2-3 April at the Royal Sonesta Boston in Cambridge. The conference will be centered on the design and delivery of transformative health services, behavior change interventions, and digital solutions. Information and registration here. The second is the dHealth Summit on 11 June at State Room Boston. The University of Rochester in collaboration with West Health organizes this two-day annual conference, now in its fifth year, to foster disruptive technological and process innovations to improve the lives of the nation’s aging population. The pre-conference kickoff on 10 June is themed around caregiving and is at AGENCY CIC Headquarters in Cambridge. Speakers represent a cross-section of care delivery companies, insurers, innovators, and non-profits. What this Editor enjoyed about past conferences was their interactive setup and a fairly select group of attendees. More information and registration is here. And don’t forget our earlier listings here for Matt Hancock at the RSM 28 Jan, the NOLA Health Innovators Challenge (applications extended to 27 Jan), plus event at the RSM and The King’s Fund (see TTA 9 Jan). In Dallas the Health Wildcatters have their Challenge on 8-9 Feb and there’s more in our 10 Jan roundup. Short notice–Thursday 10 January in Newcastle, Aging2.0 is supporting the Innovation SuperNetwork on their Innovation in Ageing Accelerator Programme. This is a collaboration that includes the local National Innovation Centre for Ageing, Newcastle City Council and Northstar Ventures. They are offering £12,500 of investment and 6 months office space in the Biosphere building on Newcastle Helix. The Accelerator is holding a four-hour workshop tomorrow, 1-5 pm. If you can make it, register here. Wednesday 30 Jan, NYC. Post-holiday, post-CES/JPM, and mid-winter blues have you down? Aging2.0 in NYC is hosting a Happy Hour (drinks are on you) down at Grey Bar in the trendy Flatiron District. It’s Wed 30 Jan 6-8pm at Grey Bar (26th between 6th and Broadway). RSVP here. Friday-Saturday 8-9 February, Dallas. The Health Wildcatters are sponsoring a two-day Texas Healthcare Challenge. Format is a “hackathon-like” prize competition focused on creating team-based solutions to problems in healthcare. Teams can apply as well as solo fliers who will join a team that presents at the end of the event. Application by 24 January. More information here. And on the other side of the country, the 10th Wearable Tech + Digital Health + Neurotech Silicon Valley conference will be 21-22 February at Stanford University, co-sponsored by ApplySci and the Stanford Wearable Electronics Initiative. More information here. And looking ahead to warmer weather…HealthImpact East will be up on 21-22 May at the Google offices in NYC. HealthChat with Secretary of State for Health Matt Hancock. Monday 28 Jan at the RSM (starts at 8 for 8.30am). Roy Lilley of NHS Managers will be asking the questions, so they won’t be a parade of powderpuffs. What is the long term look at health policy when the Government is gripped by Brexit? Promoting digital health won’t have an argument here and fax machines may have had their day, but what’s the 10 year plan all about? What about that social media blitz targeting the obese, smokers, and those who like their drink? Intriguingly, who is the real Matt Hancock? Is he That Man In A Portfolio? Tickets are a moderate £19.95 – £39.95 and likely will sell out soon. Book via Eventbrite here. Hat tip to Roy Lilley via NHS Managers. NOLA Health Innovators Challenge. Over here in the US, we have a very big event (no, not CES in Las Vegas or the JP Morgan invitational conference this week in SF). It’s down in one of the homes of Real Jazz, New Orleans (NOLA), in March (date to come). Back for its second year, MedStartr Ventures has been running the Health Innovators Challenge jointly with the New Orleans Business Alliance. It’s very late to apply for one of the four Challenges (it closes on Sunday 13 Jan) but if you work hard and fast, see the link to apply to a program that is raising its second round of funding and helping previous crowd challenge winners raise their next rounds–plus get a wealth of guidance on how to package your idea for presentation to key healthcare stakeholders to get to market much faster. They also sponsor the #HCLDR Tweetchat every Tuesday at 8:30 PM EST, 5:30 PST, Wednesday 1.30 AM GMT. Speaking of the RSM, their Digital Health (Telemedicine & eHealth) section is sponsoring upcoming events on Recent Developments in AI and Digital Health on Tuesday 26 Feb and Medical Apps–Mainstreaming Innovation on Thursday 18 April featuring a return appearance by Matt Hancock. Over at The King’s Fund, they will be hosting a full day session on Digital Health Explained: demystifying the tech revolution in health and care on Wednesday 27 March. The annual two-day Digital Health and Care Congress will be a little earlier this year, on 22-23 May; preliminary information and registration including sponsor packages are here. Follow developments at #KFdigital19. 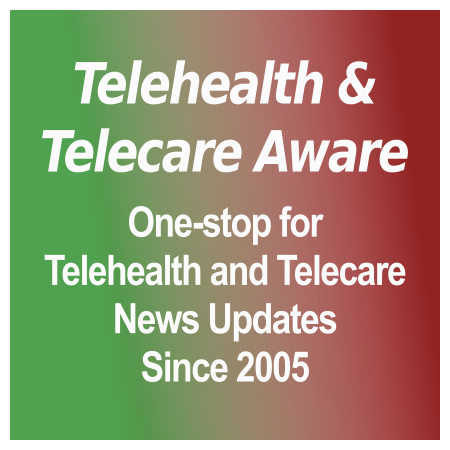 Upcoming UK telecare and telehealth events; SEHTA calls for Healthcare Business Awards nominees. This conference aims to support health and social care organisations that are looking to undertake large-scale digital change, no matter what their current level of technological advancement. Understand the factors that contribute to successful change by showcasing the experiences of different case study sites and Global Digital Exemplars that have already made significant progress. More information and registration here. UK Telehealthcare has several events coming up all over the country. For more information and registration, click here or the advert in the right sidebar and scroll down to ‘Members Events Coming Up’. 5th December 2018 – CECOPs Digital Health Masterclass, 2 Brewery Wharf, Kendell Street, Leeds, LS10 1JR. At the UKHT conference, over 300 delegates will hear speakers discuss the major strategic issues and policy developments facing the life science and healthcare sectors. Showcases include the latest advances in R&D technologies and up and coming spinout companies. It closes with the 13th annual MediWales Innovation Awards, celebrating the achievements of the NHS, life science and health technology communities in Wales. More information and registration here. Alex Fair, CEO of MedStartr, has posted this Editor on their latest Crowd Challenge, this time at the AMIA Annual Symposium in San Francisco, 3-7 November. There are over 40 companies competing for five presentation spots in the AMIA 2018 PitchIT Competition on 5 November. What’s at stake? AMIA’s Informatics Partnership Council (IPC) sponsoring PitchIt has a prize of up $12,500, plus MedStartr has $25,000 in grants and entry into the MedStartr Acceleration Program. 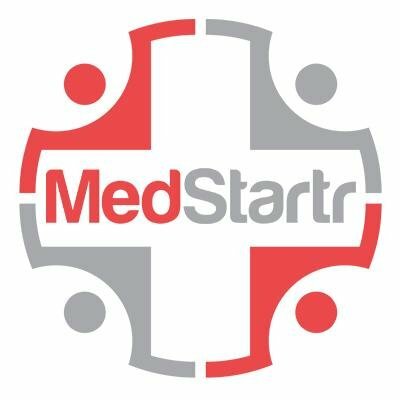 The link to the eligible companies is here on MedStartr, the leading crowdfunding platform exclusively for healthcare. Review, vote, and fund! The influential New York eHealth Collaborative (NYeC) is honoring four highly influential leaders in improving healthcare through the use of technology on Tuesday 27 November in NYC: Michael Dowling, CEO of Northwell Health; Linda A. Lambert, CAE, Executive Director of the New York State Chapter of the American College of Physicians; and CEO/founders Ido and Roy Schoenberg, MD of American Well. The gala will be at the Edison Ballroom, which this Editor can confirm was a top-notch venue last year. More information and registration is here. If you are at all engaged with healthcare systems and technology in the New York metro area, it’s worth your time and fisc to attend this event to be the company of over 250 C-suite executives, leaders, and policymakers. NYeC is a non-profit which works with the New York State Department of Health to improve healthcare by collaboratively leading, connecting, and integrating health information exchange (HIE) across the state. One of their major tasks is to advance the Statewide Health Information Network for New York (SHIN-NY), a network connecting healthcare professionals statewide. SOMPO Digital Lab, in partnership with California senior care communities Front Porch and Carlton Senior Living, will host a pitch event for high potential startups at the Aging2.0 OPTIMIZE Conference on 14 November in San Francisco. Startups focused on Brain Health, Caregiving and Daily Living and Lifestyle are invited to present. The grand prize is $5,000 and a pilot opportunity in the U.S. or Japan. Your startup must have raised a minimum of $100,000 up to a maximum of $5 million. We should also mention Aging2.0 OPTIMIZE 14-15 November. For more information and to register, click here. For a list of their other local and international events (oddly, none in NYC for the foreseeable future), click here.